OK. Still sidetracked by stamps. Let’s start with where it all began. 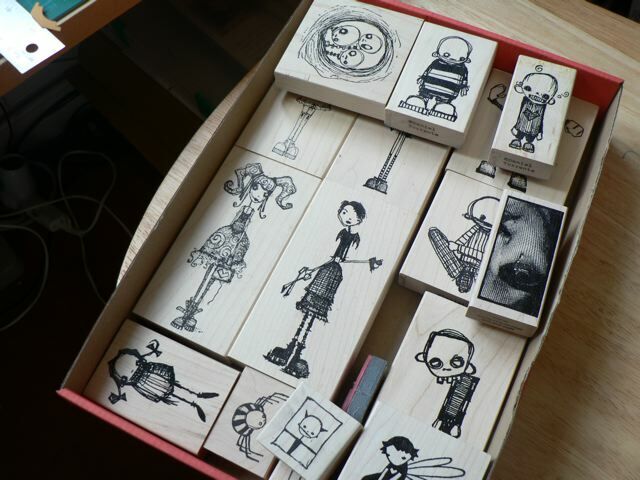 I was arranging my Stampotique stamps in a box, and twisting and turning them to get them to fit. I was stamping and colouring the people, I had the title (can you call it journaling if it isn’t a layout?) and I was happily creating in my own little bubble. 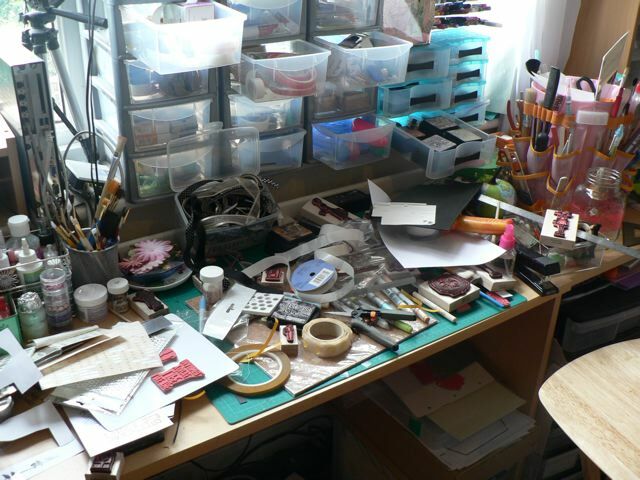 Then, as is my early morning routine, I hopped around to some of my bookmarked blogs, checking up on what friends, and other inspiring scrappers, were doing when I clicked on Jane’s blog. She has a LOVELY project she taught at Scrapamia (darn I wish I had gone) that uses some sort of folded cardstock boxes to make a shadow box effect. It’s very scrappy and almost vintage, really, really pretty. And that sent me off in a totally other direction – as Jane’s creativity often does LOL! The clothespins are holding the corners together while the glue dries and so I can test out the arrangement to see if I like it! 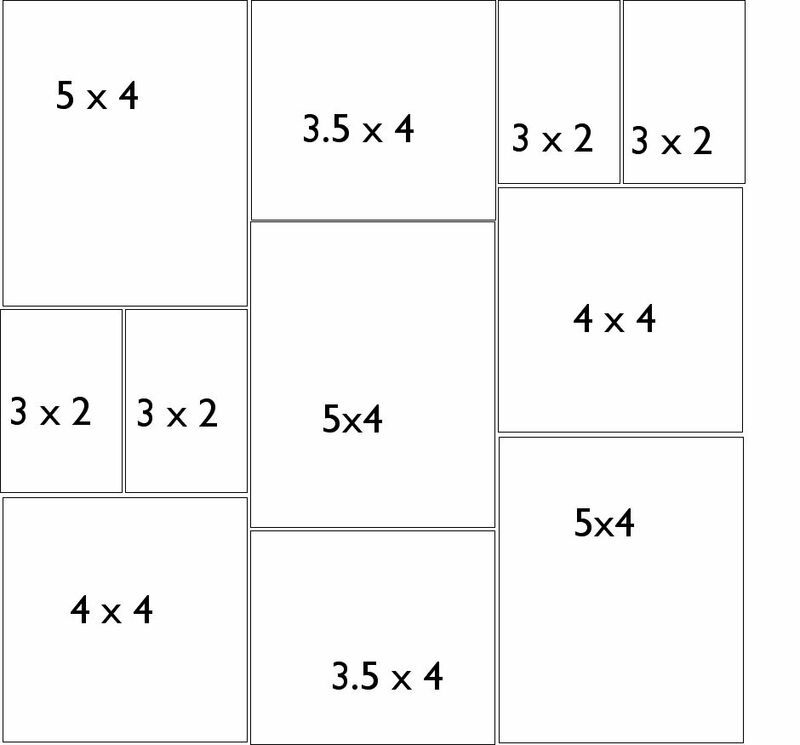 So you can see that once the boxes are stuck together they will fit on a 12 x 12 sheet of card. 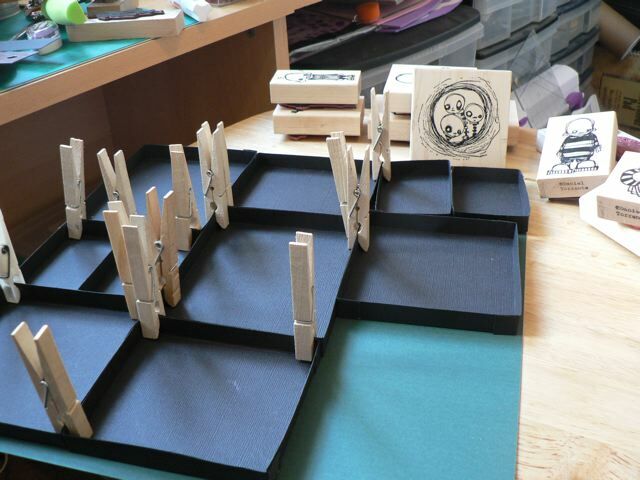 And it works with the size of the stamps..
It’s done now, but this post is already too long and I have to deal with THIS – here is a shot of my desk. Honestly, I am such a messy scrapper. 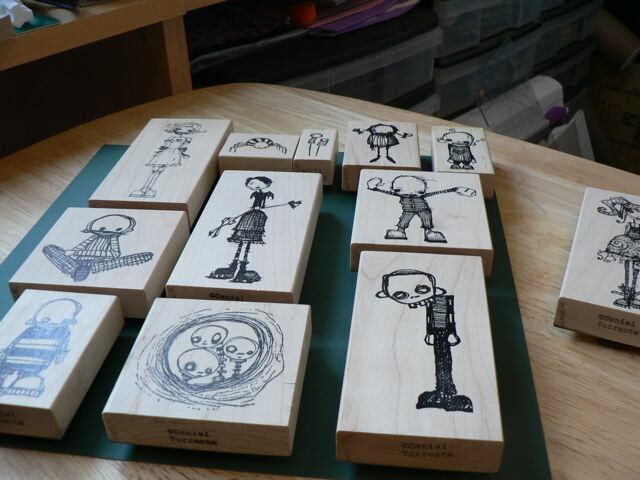 Categories: art, stamping | Tags: paper sculpture, Stampotique, stamps | Permalink.